Looking for a web designer who will help you build your online learning marketplace? We use a variety of powerful, professional all-in-one platforms to create Online Learning Marketplaces with a secure backend to manage courses, students, reviews and discussions. Depending on your requirements we will guide you on the best option available. All you need is to send us your content, ready for installation. Your site content is safe with reliable, secure cloud hosting and content is served from secure servers. You can take full control over the site design, content, pricing and student information. Leave the hosting of the data to professional companies. WebBit will build and configure your online courses using professional course templates and customise everything to match your brand. If you have an existing website we can integrate the online courses with your site or set it up as a separate standalone site with it’s own domain name. Cost effective – get a quote and see how much you will save! Import your existing course content. Course files can be uploaded in PDF or video formats. Integrate with a payment processor. Set lessons on a drip feed basis releasing content on a certain date. Allow students to review courses. Allow students into group discussions. Issue a personalised certificate at the end of your course. Generate an income from your online learning marketplace. Provide a great learning experience to your students! 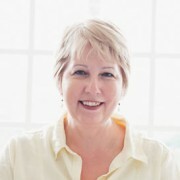 WebBit is a freelance website management service run by its principal and founder, Mary-Ann Fairhurst. I offer a personal website service to help small businesses grow their business and move forward. I love reaching out and helping hard working business owners. I’m also sympathetic to how many hats a business owner has to wear. These days it’s hard to keep up with both running a business and to manage your site. No matter what type of online course or classes you are planning to offer – photography, nutrition, language, digital skills, writing skills and more, these can all be set up on the online learning platform or marketplace. Get it touch using the form below. We’d love to hear from you if you have an inquiry about a new website project, customisations or website maintenance on an existing site.